The Spokane County Commission might need a couple more chairs. 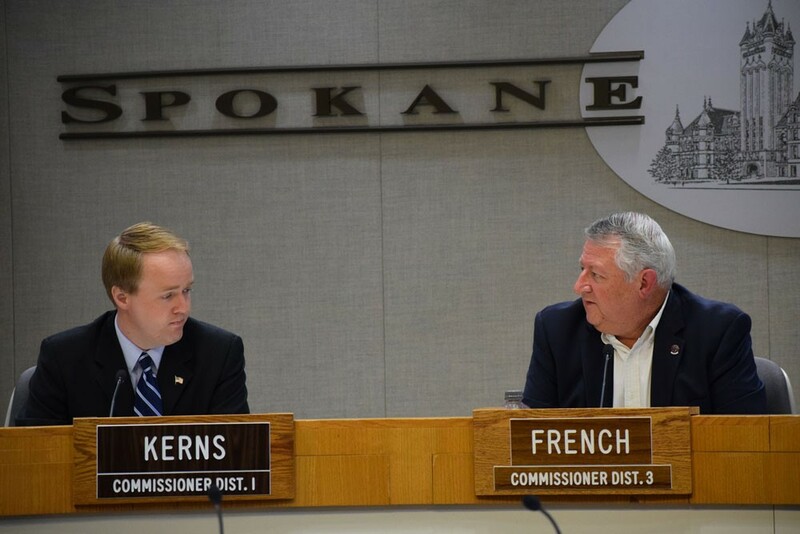 In the coming years, the Spokane County BOARD OF COMMISSIONERS will likely grow from three members to five, whether the current commissioners like it or not. A bill that has passed the state House and the state Senate will increase the county commission to five members for the 2022 election. It will also change the election process so that commissioners are elected only by voters in their district, instead of by voters from all around the county. The legislation has drawn strong opposition from current Spokane County Commissioner Al French, who notes that Spokane County voters rejected a similar ballot proposal that would have expanded the commission in 2015. "It's a lousy bill," French says. "It ignores the will of the voters in the county and imposes the will of the legislators." Rep. Marcus Riccelli, D-Spokane, crafted the bill, and it earned bipartisan support from other local representatives. Spokane is currently the most populous county in the state still operating under the three-commissioner form of governance. Riccelli has said the bill would bring more direct representation for Spokane County voters. And by adding more members to the commission, it helps members avoid breaking the state's open meetings laws. Currently, any time two county commissioners meet, it can be considered an open public meeting. French dismissed concerns about public meetings, calling it "bogus." "It amazes me that people who have never done this job before [think they] know how to do it better than those who have," French says. County Commissioner Mary Kuney has expressed similar concerns. But the third member, Josh Kerns, could go either way. He doesn't like that the county will have to come up with the money to fund the change to a five-member commission, saying it's another "unfunded mandate." But he says it "would be handy" to be able to walk over to another commissioner's office and bring up an idea without it having to be an open public meeting. But the change, he says, won't change his priorities. "It doesn't change my mind as far as the things I'm focused on," Kerns says.